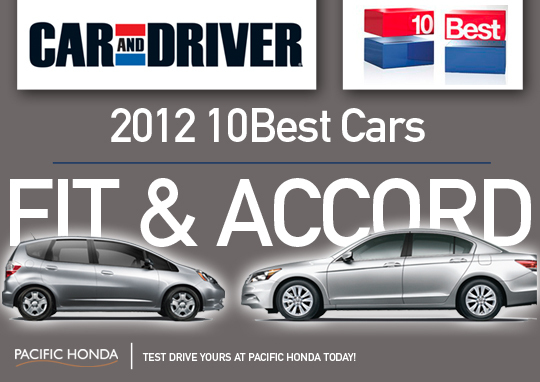 Pacific Honda Blog: Fit & Accord named BEST CARS! Chicago Honda dealer launch all facilities with for bedding car, perches idea, and Honda Parts service.which means you don't have to look for another place for all these. Besides being cost effective, you can park Continental Honda at a convenient place and take a rest if you want. And if you are feeling like an overnight drive you could do that as well. Very useful post.It was very relevant.I was searching exactly for this.Thank you for your effort. I hope you will write more such useful posts. Thank you for sharing such a nice post very excellent content about Cars and very easy understandable for the readers.